Find your state’s medical marijuana website by looking in the list further down the page. If not found, search your state and ‘medical marijuana laws’ on google and find out what the law is in your state. Many medical marijuana laws are just going into effect this year or next by the end of 2017. Read your state’s specific instructions for getting a medical marijuana card and follow it closely. Follow only the procedures on your own state’s website. Fishing sites posing as your state may take a fee from you for sending you to the state site. Get a doctor’s recommendation. A doctor must recomend marijuana treatments for an issue for which the state has allowed medical marijuana to be used. You can find a sample list on this page, but you will need to find your own state’s list. Some states list only a few issues. Other states will allow medical marijuana for any issue your doctor agrees can be improved with medical marijuana. Sign up for a medical marijuana card (MMJ card), or a Medical Marijuana Identification Card (MMID) by visiting your state’s website and applying online or at government contracted offices. Now, you must take your card to a legal marijuana dispensary, delivery service, or grow your own marijuana to treat your health ailments. You will need to decide if you will use smokable marijuana, edibles, candies, dabs, or oils for your particular condition. A big part of that will be deciding the THC or CBD content which will most improve your particular condition. Another part of this process may be deciding whether you want a Sativa or Indica. Finally, you may need to choose a strain, such as OG Kush, or Haze. Best fit will require experimentation. A MMJ Card (Medical Marijuana Card) or a MMID (Medical Marijuana ID) is a card issued by the state which allows a patient to get marijuana at dispensaries, by delivery, or to grow their own marijuana. If caught with marijuana on your person, by federal authorities, it may be handy in convincing law enforcement that you are possessing it legally. The patient gets a recommendation from a physician, that marijuana may be effective for the patient’s condition, which must be in the list of allowed conditions for the patient’s state. The state will collect a fee, process the request, and issue a card if the patient qualifies. A doctor does not prescribe marijuana because it is illegal federally, even in states where it is legal, but instead issues a recommendation to the state which provides the card that gets you into the dispensary. First, you need to be in a state where medical marijuana is legal and where you can get a card. The following states have some type of medical marijuana laws. You will have to find information from each states’ government sites to show you how to obtain medical marijuana card in each state. Each state which has some form of medical marijuana laws, require a doctor’s recommendation, and/or a card to legally obtain marijuana from a dispensary, by delivery, or through growing your own. States with full legalization may require only identification. For other states, you can do an internet search for the state name and a phrase like “medical marijuana”. Avoid misspellings like marajuana and mmj which may fail to produce valuable search results. States identify several conditions for which treatments with cannabis infused preparations are indicated. Qualifying conditions are conditions the state has decided can be improved with some form of medical marijuana. Some states allow only low-THC marijuana to be used in preparations to treat a very limited number of conditions while other states will allow medical marijuana to be recommended off-label by your doctor for any condition your doctor agrees may be improved with marijuana treatments. For example, the state of Georgia has conservative medical marijuana laws. Patient must be registered with the Georgia Department of Public Health. The patient must have his medical marijuana card, issued by the state, anytime when in possession of the low THC oil. 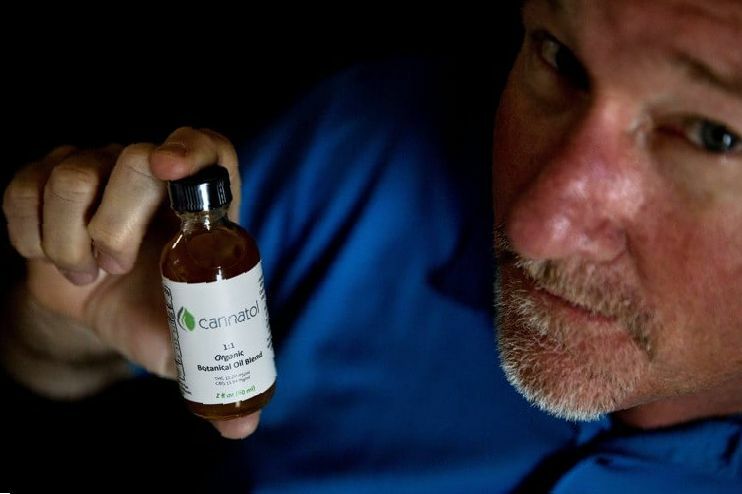 Theoretically however, oil with very low or no THC is legal all over the United States, and the patient can still get the effects of CBD and other cannabinoids. In practice however, this can be a grey area which can get some persons into trouble with the law. For children under 18, the parent or guardian must carry a card listing her as the patients’ caregiver. Treatment must be in the form of low THC oil. The oil must have a CBD content equal to or greater than the THC content. The oil must be in a standard medical container clearly stating the THC content. The patient can have in his possession no more than 20 ounces of oil. Oregon is a state which has full marijuana legalization and liberal medical marijuana laws. It is a perfect example of how the medical marijuana system in the US works. Money order/check, payable to OMMP. From $20 to $200. You will have to go to the website here: https://ommpsystem.oregon.gov/ to find out specifically how to get a medical marijuana card in Oregon so that you can find a clinic to admit you or a dispensary to fill your order. This website will take you through the process, or if you choose to apply by mail, the instructions will be provided to you. They are often called OMMP cards (Oregon Medical Marijuana Program card). Getting your medical marijuana card is key to getting the medication you need to treat pain and anxiety. There are several dispensaries in Portland, Oregon and in other areas of the state where you can get medicinal cannabis services. Obtaining good green is just a step away. Marijuana, especially taken in edibles, can be a miracle drug. It potentially treats a wide range of pain issues without causing the kind of addiction you can expect from alcohol, opiates, and other psychoactive medications that relieve pain. It helps with nausea, such as occurs with chemotherapy. It can help with anxiety, depression, and other mental health issues, but of course, can theoretically cause psychological problems in susceptible children, especially the high THC forms. American prisons are full of people who use marijuana. Many of these people have conditions which could have qualified for a medical marijuana card. Therefore, it is imperative that you get a card in order to be on the right side of the law. Here is a list of states that allow medical marijuana and their websites which tell you were you can apply for a card, including online. There are some commercial sites which offer an online medical consultation. Be careful if using such sites. Be sure they have a physical location, and are operating legally in the United States. Medical marijuana is available in 28 states and in Washington D.C. Marijuana has more than 100 types of cannabinoids, THC being the most psychoactive. Studies show medical marijuana can help with chronic pain without some of the drawbacks of drugs like opiates. Medical marijuana is considered safe in the short-term, but long-term studies are lacking due to the legal status of marijuana. A small Harvard study of controlled medical marijuana use showed no decline in cognitive function, and a slight improvement. Many insurance carriers do not pay for medical marijuana preparations. 2 What Is a Medical Marijuana Card?